Susan Barton is a gifted floral artist who envisions and creates the lush bouquets that will grace your wedding day with the essence of love and romance transforming the fleeting beauty of flowers into joyful memories that last forever. "I meticulously hand pick special blooms and garden materials from a variety of local vendors for my unique wedding designs. 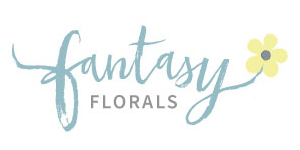 I have met so many wonderful couples and families since I started Fantasy Florals in 1990. I experience such joy from them when they behold their flowers that it touches my heart; and that's what it's about for me- moving people through the beauty of my flowers." Susan has established personal relationships with the local flower growers and the wholesale flower market, meaning you will be getting the most beautiful blooms and garden materials available. She buys the flowers in the middle of the night at the San Francisco Flower Market, and shops till morning hand selecting the flowers. Since we have a great reverence for the enviornment, we are happy to provide more sustainable options, such as using only local seasonal flowers, recycled containers, or organically grown materials. We also have many rental items available, such as urns, chuppahs and various aisle hooks. Susan has been invited to participate in Bouquets to Art since the year 2000. This is the DeYoung Museum's largest fundraiser held to benefit the Fine Arts Museums of San Francisco and is considered to be one of the premier floral events in the country. Bouquets to Art features floral designs which interpret and compliment the museum's art collections. Susan is also available for lectures, floral demonstrations and teaching. She enjoys making seasonal wreaths during December from the abundance of local pine, fir, cedar, and various other greens and cones available in the woods of Marin.